SoFi, which stands for Social Finance Inc, was founded in 2011 by a group of Stanford Graduate School of Business students and has now become a company that has funded more than $20 billion in loans. 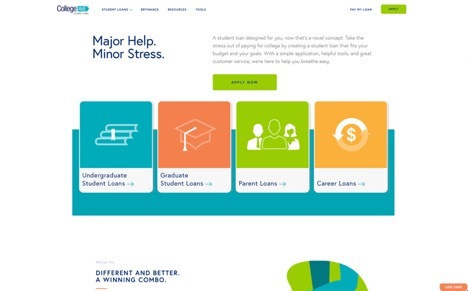 There is a broad catalog of services offered art SoFi; you can borrow for student loan refinancing, mortgages, personal and parent loans, and also get mortgage refinancing. While most SoFi alternatives charge high rates to account for the possibility that borrowers won’t pay back their loans, SoFi takes a look at several other factors. Things like your estimated cash flow or your education can help you obtain a fair rate, and if you happen to lose your job, your payments will be temporarily paused until things get back on track. You can even get job hunting coaching to help you find a new job placement. If what you need is a personal loan, you can reach higher balances and lower rates. Student loan refinancing receives personalized rates instead of the same high ones other SoFi alternatives have. And obtaining a mortgage is easy with the online application and 10% down. Of course, when you are talking about money it is always wise to compare options. 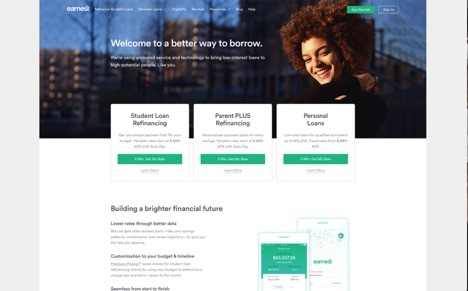 These are some of the best companies like SoFi we found, hoping one of them can help you get a loan and achieve your goals. 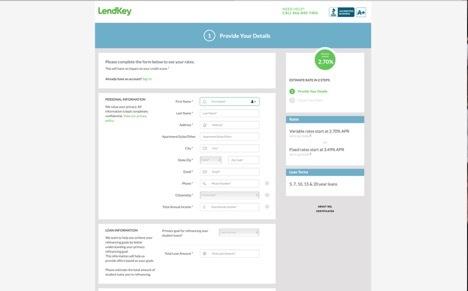 One of the most popular sites like SoFi is Lendkey. 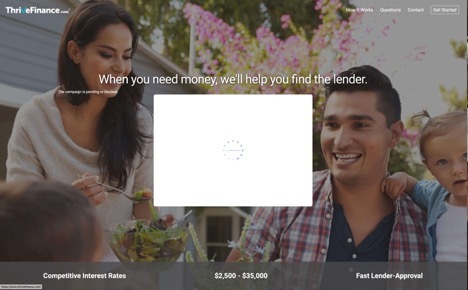 They help you get low-interest loans from a network of community lenders. With over 50,000 borrowers served and a 97% satisfaction rate, you know that this is an option you need to consider. The process is simple and straightforward; first, you fill out an online application. Once you send it in, a decision will be made instantly, and you will see the different rates and terms you can access. Customize your loan by selecting the rate, term, and monthly payment, verify your information and upload your documents, and receive your funds. It is as simple as that. Private student loans, student loan refinancing, and home improvement loans are available at this SoFi alternative. Sometimes you need to find a website like SoFi that can give you money fast. Instead of going to a payday loans website that will charge ridiculous fees, visit ThriveFinance and get a personal loan in as quick as one business day. Using a vast network of lending partners, when you submit your application you will be redirected to a lender that can provide the loan you need. If you are at least 18 years of age, have a valid bank account and proof of income, you can qualify to obtain a personal loan. 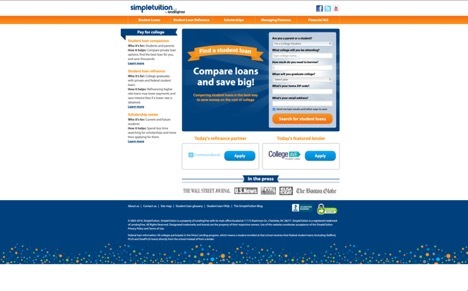 People who are searching for a site like SoFi where they can get a student loan to pay for college or school loans refinance can use the SimpleTuition website and make the process easier. The Student Loan Comparison finds the best lender who offers the most favorable borrower benefits. The PayBackSmarter tool provides information about how to get out of debt faster, as well as what repayment options are available. Not many students are aware of the many federal loans that exist. 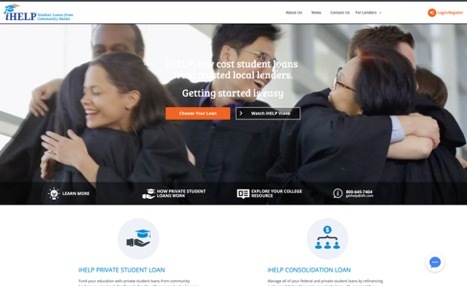 Direct loans, Perkins loans, PLUS loans and GradPlus loans are sponsored by the federal government and can be disbursed to students, and SimpleTuition can help you apply for them. Covering up to 100% of your school expenses using a student loan is possible with this SoFi alternative website. Students in associate’s or bachelor’s degree programs can apply for an undergraduate student loan. For anyone currently studying a master’s or doctoral degree, there are graduate student loans available. Even parents who want to cover their children’s school costs can apply for a parent loan. If what is needed is to reduce the total cost or manage payments of a current student loan, refinancing options are also accessible. No fees are charged for applying, and early payments can be made with no penalties involved. iHelp provides student loans that originate from community banks, with low rates that may save you money. The private student loans have no origination or repayment fees, and have three options: defer the payments until you graduate, make interest-only payments, which will lower the overall cost of the loan, or make principal and interest payments. The application can be done online and in a few minutes you will find out if you are pre-approved. 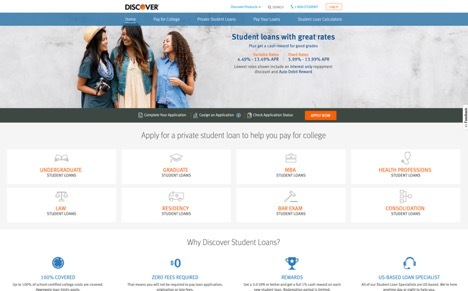 Another service offered at this SoFi alternative is refinancing student loans, available for both federal and private student loans. It will allow you to unify any current student loans into one potentially money-saving account. Repayments can be done through a 24-month interest only payment schedule or as a graduate repayment with a choice of 10, 15, or 20 years term. Not many of the sites like SoFi reward students for their good grades. This is what makes Discover an attractive alternative. If you have at least a 3.0 GPA, you will receive a 1% cash reward of the loan amount. Besides the typical undergraduate and graduate student loans, they also have special loans available depending on what you need to cover. MBA student loans, heal professions loans, and law loans are offered, as well as residency loans for students preparing for internships, or bar exam loans for anyone who is preparing for a bar exam. Best of all, there are no loan application, origination, or late fees charged. Apply in as little as 15 minutes or less and choose between in-school or deferred repayment options. Refinancing student loans is also possible for both personal and federal loans so you can lower your interest rate or your monthly payments. Personal loans and school loans refinance are offered using the latest technology available. Through specialized software and algorithms, the applicant’s full education, employment, and financial profile are evaluated to obtain a thorough financial profile. This lets you access lower rates. If you are financially responsible, this is an application you should fill out to refinance and consolidate student loans. An estimated rate will be sent to you in just a couple of minutes.